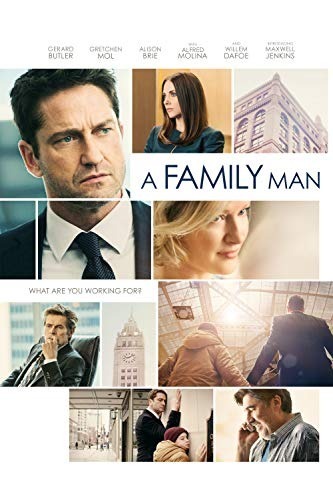 Dane Jensen (Gerard Butler) is a successful Chicago-based corporate headhunter who works at the Blackridge Recruitment agency. His life revolves around closing deals in a survival-of-the-fittest boiler room. As the film opens Jensen is shown to be focused on his job, but he also tries to be a family man. His boss Ed Blackridge (Willem Defoe) is offering Jensen a promotion that will lead to Jensen controlling the company. But in order to secure the promotion, he must beat his ambitious rival Lynn Vogel's (Alison Brie) numbers. Read more on Wikipedia.